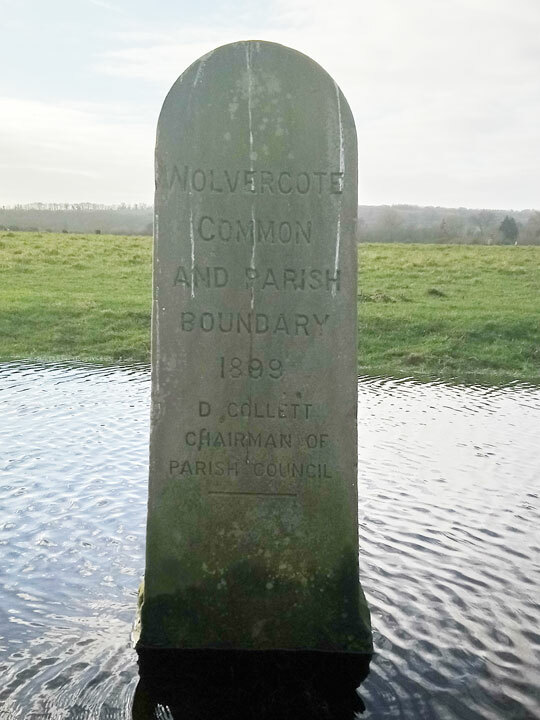 Marking the boundary of Wolvercote Common and Port Meadow, this is the western of a pair of matching stones. These two stones are unusual: they were put up by a local parish council defending the boundary of its village (Wolvercote) rather than by the Mayor and Councillors of Oxford proudly marking the extent of their city. Hence they turn their back on Oxford.